Test Tube Stand Round by Plastic Labware India is a handy little space saver with circular twelve place Polypropylene . Test Tube Stand has four 25 mm dia holes & eight 19 mm dia holes in its top plate. The base has matching hemispherical wells & 16 vertical pins for drying tubes surrounded by a trough to catch drippings. This autoclavable rack can be easily disassembled for cleaning purpose. 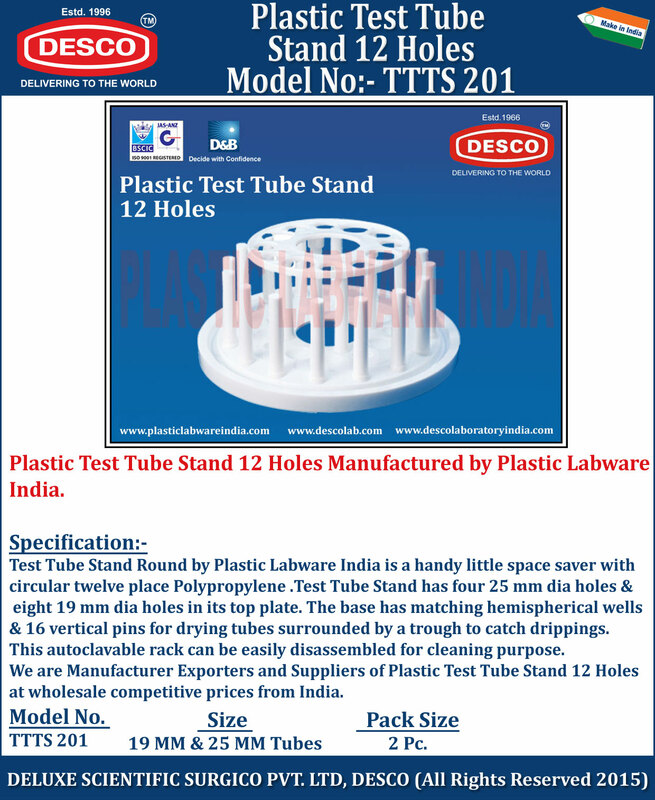 We are Manufacturer Exporters and Suppliers of Plastic Test Tube Stand 12 Holes at wholesale competitive prices from India. TTTS 201 19 MM & 25 MM Tubes 2 Pc.